Q. Why should you create a strong employee benefits package? A. Because you simply cannot afford not to. Business has never moved at such a fast pace or been quite so competitive. It pays to look after the health of your company and the people on your team. create opportunities for promotion and advancement, as workers resign, retire, or move to other positions within your organisation. Now that you know why you need a benefits package, how can you create one that ticks the right boxes? designed to increase employee engagement. Choosing the right scheme will depend on your company size, level of investment and your employees’ expectations. The value of benefits depends on every employee. Older workers may be more focused on healthcare and pensions while parents with young families may have other interests. Hiring an external specialist to manage your employee benefits package will ensure that you stay ahead of your competitors. Do they have the right technical qualifications to make suitable recommendations? Can they offer everything you need? Are they familiar with your size & type of business? Do they offer support to your employees? What level of reporting do they offer? Vintage Corporate are very happy to work with you in answering all these questions and more. 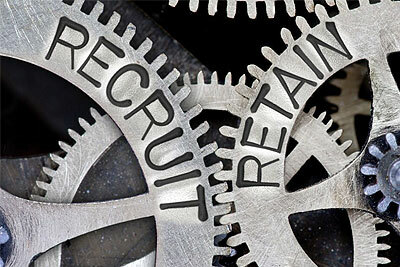 We can create a strong, relevant and well-communicated benefits package which not only gives your business a recruitment advantage, but will also help you to retain satisfied, committed workers. Click here to send us an email and one of our advisers will give you a call back. With most people living well beyond State Pension age and every UK employer now legally obliged to enrol their employees and make contributions into a pension scheme, choosing and managing the right pension scheme has never been more important. More and more businesses now offer extra opportunities for employees to save or invest money through their workplace, above and beyond the company pension scheme. Typical options include Workplace ISAs and share schemes. Income Protection, Private Medical Insurance, Dental and Optical Insurance, Critical Illness Insurance, Sports Injury, Health Screening and Sick Pay Insurance are all increasingly common components of employee benefits packages. Life Insurance (also called Death in Service) pays a tax-free lump sum if an employee dies, to provide support for the people who depend on them financially, such as their partner or children.